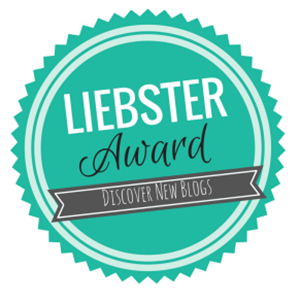 Early this week this blog was nominated by CathyTea, writer of an awesome Sims 4 legacy blog, for a Liebster Award. Picking my nominees was hard for me because I read every blog I follow and genuinely enjoy them all. But alas I had to choose so I decided to pick from a pool of blogs that haven’t been nominated by anyone as yet (as far as I’m aware) and whose blogs are all Sims related. The Untouchable Patels by dorianjkoeuf – A Sims 3 story of a family unjustly made into outcasts by their community who must weather life’s challenges while seeking redemption. Tales from Touperdu by Jinx – It follows a rotational gameplay concept and is told from the perspective of several residents in the town of Touperdu set in the late 1800’s. Trusting Desire by noonibean – The story and images are presented like a comic book and it tells the story of childhood friends, Gabriel and Ellie, who find each other as adults and rekindle their friendship. They both have to come to terms with their own baggage and personal struggles in order to open their hearts to each other. Also set in the late 1800’s. Alissa/Alissa Continues by IIdaisies – A Sims 3 blog I’ve been following for the last two years that tells the story of Alissa who has been through many personal challenges starting from her childhood but has grown into a strong, brave woman who with the help of those closest to her can face any difficulty life throws at her. The Logan Legacy by AtlasSims – It is a mash up of a Runaway Teen Challenge, Legacy Challenge and Mafia Challenge all in one which makes for a dramatic and action fueled ride. Lirum is street smart teen runaway who dreams of having a loving family of her own while Valentine has ambitions of becoming the leader of a mob. Both different but similar at the same time, their love and commitment to each other sees them throughout the challenges of being a part of the criminal underworld. Written In The Stars by melodicmolly – A Sims 3 legacy story that follows an inventor named Xavier Stryder, who was born in the future but travels through time and falls in love with a woman from the past. Xavier’s life changes forever but his actions may have unforseen consequences. Nevi’s Dreams by NevisDreams – Nevi is a really talented builder of Sims 4 houses in the various neighbourhoods but also has a Legacy Challenge with the Diaz family whose founder Adrian is so cute. This blog serves as inspiration for when I’m house building in the game. What do you find most gratifying about sharing your Sims’ stories? Having people read it and genuinely enjoy it. I’ve loved writing since I was 11 years old but I was always shy about letting other people read it. Before I started writing about the Sims I used to write fan fics but I only used to share it with my best friend, and then later my boyfriend. I realised that having feedback from readers really motivated me into continuing the story even when the excitement of putting fingers to keyboard wanes. I’ve been playing The Sims series (The Sims, The Sims 2, The Sims 3 and The Sims 4) for a total of 6 years and while I would play I would always have a story-line running in my mind. My Sims’ characters would be well-rounded but they only existed in my head and I never wrote anything down until I discovered The Emmett Legacy. That was the first of many Sims legacies and stories I read and it inspired me to actually write my own gameplay and bring my Sims to life for other people. So simply put the most gratifying part of sharing my Sims’ stories is just having other people read it, comment on it, like it, and give me feedback. It encourages me to keep at it and to finally have a real outlet to express my creativity. What’s a moment you had when playing Sims (and/or writing about it) that helped you to understand life better? The game puts things into perspective. Sims lives are very concise in comparison to ours so much so that I can play the game in one day and that could be a Sims’ entire lifetime! When I’m playing I might get so caught up in the routine of sending them to work and taking care of their needs that I forget to let them learn new skills, go to new places or even maintain friendships and romantic relationships – all of these things actually happen to a lot of us humans. I’m in a struggle right now to try to get out of my rut because before I know it I’ll be a mature adult still at level 3 in her job who’s nowhere near completing her lifetime wish! LOL. What’s one thing you’ve read that has changed your way of experiencing or understanding life? Nothing I’ve read has ever changed my life or way of thinking but certain events have. Other people’s experiences or my own experiences have changed my way of thinking over the years. Most of the books I read are simply for entertainment and never anything profound. I don’t know, perhaps I need to broaden my scope a little. LOL. How do you manage to keep up with reading all the blogs that you read? This sounds bad but it’s the truth. I have a lot of free time when I’m at work so that’s when I read blogs and write and edit the pics for my own. I also read fast especially when I’m really into a story. I’m not a slacker, I promise! It’s just that there’s literally nothing for me to do on most days and I don’t like sitting around doing nothing so I blog. Don’t tell my boss! LOL. Having an outlet to share my thoughts and ideas is my favourite part. I know my boyfriend must be relieved to not have to listen to me talk for an hour about my legacy Sims during our nightly calls. He can read about them whenever he feels like it now. Like I said before, the blog motivates me to keep writing because I know I have followers and readers who are waiting to read the next chapter. Describe your favorite walk or a favorite place outside where you like to go to relax. My favourite place outside has to be my mother’s garden right outside the kitchen. Sometimes I’ll sit by the doorway and just watch all of her plants and flowers. I especially like to do that when it’s raining. I just love the smell of wet greenery. I also love to go for a walk on Sunday afternoons like around 4 or 5. Something about that time of the day and the little traffic on the roads because everyone is home cause it’s Sunday makes it very relaxing. I have very eclectic tastes in music so I can pretty much listen to anything. These days I love listening to Sia, Sam Smith, ES Posthumus and Lana Del Rey. Actually Lana Del Rey’s songs have inspired a few story ideas of mine that I’ll probably write in a blog once I’m finished with the Sloanes. What do you hope to express in your Sims stories? My Sims are not perfect and I don’t want them to be. It’s why I’ve chosen to randomise their personality traits because I don’t want to be tempted to make them into goody-two-shoes Sims with no faults. I think the best stories are told when the characters have faults. My Sims make dumb mistakes and hurt people’s feelings just like real people do and sometimes they get redemption, sometimes they don’t. I want to show that in my stories. I want to be true to their ‘nature’ and to tell their story the way they would live it if they were real. What’s one of the funniest things that has happened to you or your Sims while Simming? When I was playing the The Sims Life Stories in Free Play mode many moons ago, I chose to play with the Sinclair household made up of Waring Sinclair who was an elderly business man and his younger kept wife, Ashley, who had the romance aspiration. They invited Ethan and Mission Stardust, a young hippie couple, over one afternoon. I stepped away without pausing to get a snack – no longer than two minutes – and when I got back there was so much drama! While I was gone, either Ashley or Ethan started having romantic interactions with the other so when I got back they were flirting and kissing while Waring and Mission watched and were pissed off! Mission went up to Ethan and slapped him and then later fought with Ashley. Waring was yelling at Ashley then fought with Ethan. All this fighting and yelling was taking place before me and I was just laughing and laughing. And then Ethan went home and Ashley was tired so I put her to sleep so it was just Waring and Mission… and the two of them started flirting with each other. Two marriages destroyed all because I left the game un-paused for two minutes. Hilarious! What inspires you to continue Simming and blogging when you think about stopping? Like I said before, having a following makes it easy for me to continue playing with the Sloanes and blogging about them. I would still play the game but I probably would have abandoned the Sloanes and this blog by now if it weren’t for all of you. I check the stats often and I’ve noticed that a lot of my readers come from the US, UK and Australia. I even had a few views from Canada, Denmark, Hungary, Singapore, Latvia, Germany, South Africa, Slovenia and Spain. I feel so proud to be a part of this international community of bloggers and for those of you who aren’t bloggers I’m glad you stumbled upon this website and decided to read a couple of my posts. This may sound cheesy but every view, like and comment means a lot to me and I promise (unless my laptop gets destroyed or stolen…knock on wood) that I will carry on with the Sloanes until the end of generation 10. What else would you like to share with us that I haven’t asked? What’s your favourite part about blogging? If you could be any character from a book or a movie, who would you be? Besides writing/blogging, what other hobbies or activities do you have? Which world or neighbourhood in The Sims series would you want to live in if it were a real place? Can you write with music on or do you prefer complete silence? I can’t wait to read everyone’s responses! Oh. My. Goodness!! Thank you so much for the nomination. I’ve never been nominated for anything before so I really appreciate it. I really enjoyed your answers and I’m excited to answers your questions. I’m off to work on my own post for this. Thank you again. You’re welcome, I really do love your blog! I look forward to reading every post! Thank you Eddie! I’m not able to follow up today (I’ll be working until 9:00 pm), but tomorrow I’m going to get busy with my own nominations. Eddie, I don’t know if you can answer this question, but — I would like to nominate an additional five — I slightly misunderstood the rules earlier, and thought it was confined to wordpress blogs. Would it be a problem if I added five more to my nomination? I think it would be fine. You can add up to 11 blogs and you only nominated 5 so I think an extra 5 will be ok. So YOU’RE my reader from Trinidad and Tobago! I’ve always wondered who that was! In 8th grade, my best friend and I were delegates from Trinidad and Tobago in the Model United Nations! I’ve loved that country ever since! A few years back, I made the decision not to seek more promotions–I guess I’m around level 6 or 7. I saw that if I did, I’d have to give up too much quality of life: work longer hours, figure out how to negotiate the politics, give up job security (the directors where I work change jobs and get laid off with great frequency). It was one of the best decisions I made, and really helped me to stay creative as a person. It’s not the right decision for everyone, of course–but it worked for me! You make a good point there. I don’t want to not have time for simming and blogging. LOL.